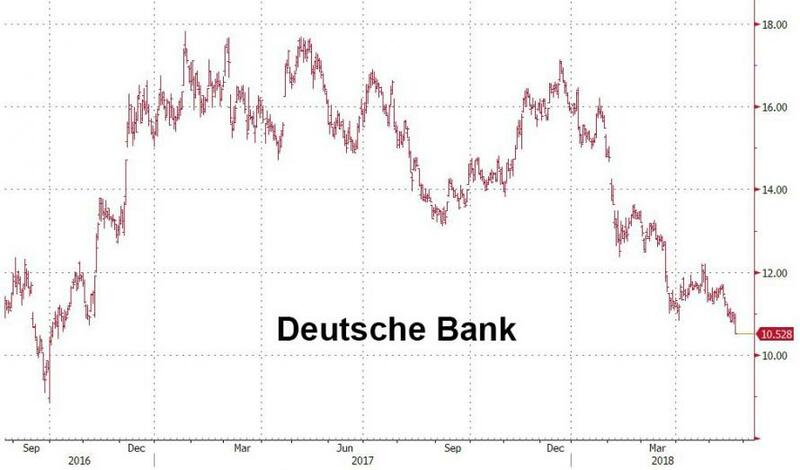 One day after the WSJ reported that the biggest German bank is set to "decimate" its workforce, firing 10,000 workers or one in ten, this morning Deutsche Bank confirmed plans to cut thousands of jobs as part of new CEO Christian Sewing's restructuring and cost-cutting effort. The German bank said its headcount would fall “well below” 90,000, from just over 97,000. But the biggest gut punch to employee morale is that the bank would reduce headcount in its equities sales and trading business by about 25%. The announcement came as Deutsche Bank was set for tough questions from investors at its annual general meeting in Frankfurt, including a vote of no confidence for Chairman Paul Achleitner who defended the supervisory board’s decision last month to replace former Chief Executive John Cryan as “unavoidable.” As the WSJ reports, the new CEO, Christian Sewing, laid out strategic priorities for the lender, telling investors that the lender remains committed to investment banking. “This time is different,” Sewing said, referring to the bank’s years-long habit of missing cost-control targets although markets naturally seem skeptical. 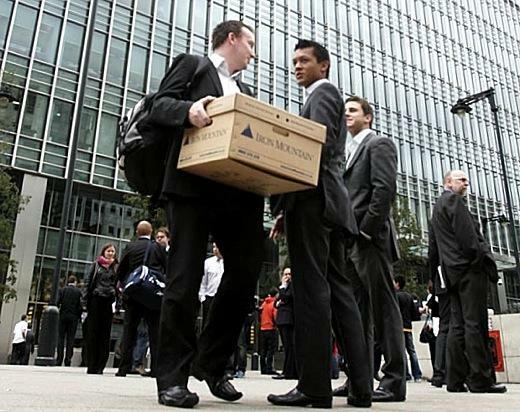 The bank had already cut 600 employees at the investment bank in the past seven weeks. And in what Wall Street took as a tacit profit warning, the CEO warned that second-quarter results would reflect a “revenue environment [that] remains challenging,” particularly in the investment bank. He didn’t provide figures. The news sent DBK stock plunging 3.5%, just above €10, and rapidly approaching the all time lows hit during the bank's existential crisis days of September 2016. Restructuring and severance charges will also hurt full-year results Sewing said, warning that 2018 results would be hit by restructuring charges of up to €800 million ($935.9 million). Sewing, like Mr. Cryan before him, also said Deutsche Bank aims to find itself in fewer media headlines, another goal it has missed. “It won’t do us any harm to be a bit more boring,” Sewing told investors. 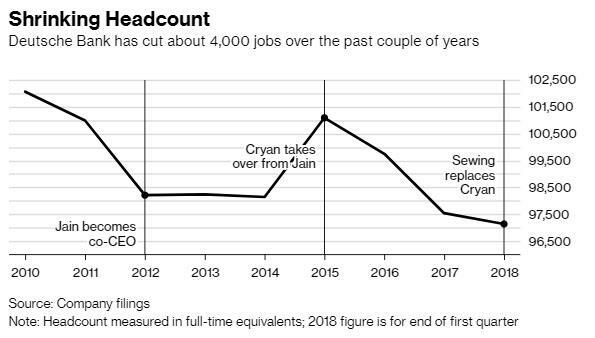 Thursday’s announcement of job cuts follow months of thorny debate over how fast and deep job losses should be at the beleaguered bank, the WSJ reported Wednesday. The process has divided senior executives and left investors unconvinced. The bank’s shares have fallen by nearly a third this year to their lowest level since a crisis of confidence hit the lender in late 2016. 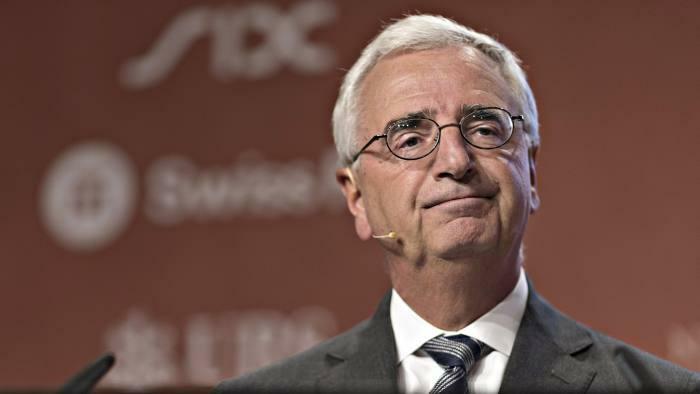 At the investor meeting, the bank’s supervisory board and senior executives are facing probing questions about last month’s chief executive handoff and the tough choices the lender has to make. They’re also confronting a proposal to break up the company, although with nearly €50 trillion gross notional in derivatives on the bank's books that may be next to impossible absent an ECB backstop. The meeting follows a messy year for Deutsche Bank. The April 8 ouster of former CEO Mr. Cryan in the middle of his management contract appeared botched to some clients and investors, and shook employees launching an exodus of some the bank's most prominent bankers.